Meanwhile, down in the Maya underworld, the evil Death Lords have realized they’ll never conquer the mortal world without conquering social media. So with the bad guys on a charm offensive, it’s up to Max and his Maya friend Lola to reveal the terrible truth before it’s too late. 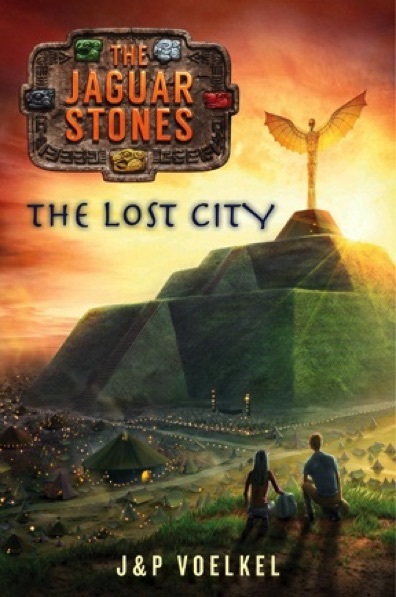 This epic conclusion to the Jaguar Stones series takes Max and Lola on their wildest adventure yet, north from the teeming rainforest to the lost city at the heart of America’s past. Available in hardcover & Kindle. "If you did enjoy the first books, you'll enjoy this one too. And if you are looking for a series of that mixes mythological madness with ordinary life in a wild and crazy way, The Jaguar Stones is a good choice. Facile though it is, "Mayan Percy Jackson"is not inaccurate."